There are calls for a permanent lighting system at Nenagh Castle to ensure it acts as a beacon for the North Tipperary Town. The historic structure which dates back to the 13th century has in recent years “gone green” for St Patrick’s Day but isn’t equipped for lighting similar to the Rock of Cashel. 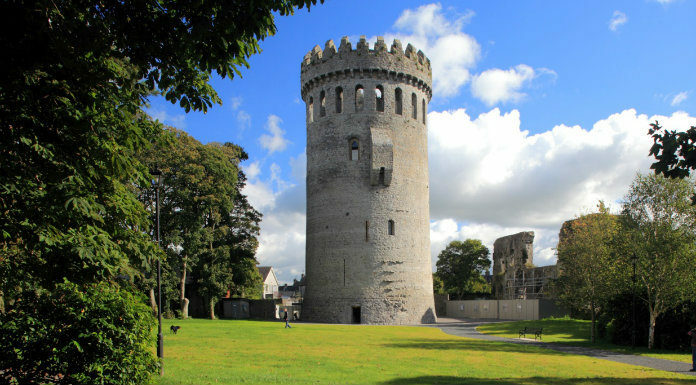 Work at revamping Nenagh castle, which only opened to the public in the past 8 years, is ongoing in conjunction with the OPW. It comes as plans to mark the 800th anniversary of the town’s castle in 2020 are gathering place. In a motion before Nenagh Municipal District local independent Councillor Seamie Morris called for the historic structure to be lit up permanently – similar to the case at the Rock of Cashel. He feels that it should be a beacon and a focal for the town which grew up around its walls and given the castle symbol is already used by local sporting groups as well as being used extensively to promote local tourism. His motion came on the back of a request from a local family’s appeal to turn the town’s castle blue for Autism Day on April 2. Such requests have previously been turned down but Clr Seamie Morris is still hopeful something can be done. District Director Marcus O’Connor has acknowledged the request and says while its very worthy idea – they have to be governed by the OPW on this.